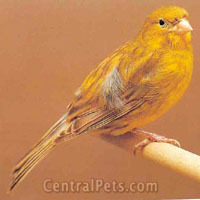 The Fife Canary, also known as The Jewel of Scotland, was developed relatively recently by Scottish canary breeders in Fife County, Scotland. The Fife is small--under 4 1/2 inches long--and agile with a rounded back and breast giving it a rotund appearance...very cute. 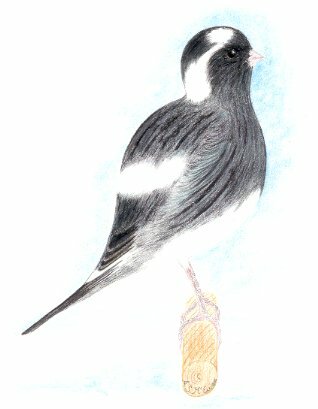 The youngest of the Type canaries-->the Fife was officially accepted in 1957. The Fife Fancy Canary is a Type Canary and is bred for appearance with no regard given to it's singing ability. Find a Fife Canary Breeder. To find more info on the Fife Canary visit the Fife Fancy Federation.